Beautiful, slightly stretchy top in darkgrey with adjustable straps. The top is made from a shiny, beautifully draped fabric and features a V-neck as well as a beautiful lace trim at the neckline and hem. Beautiful, slightly stretchy top in darkgrey with adjustable straps. 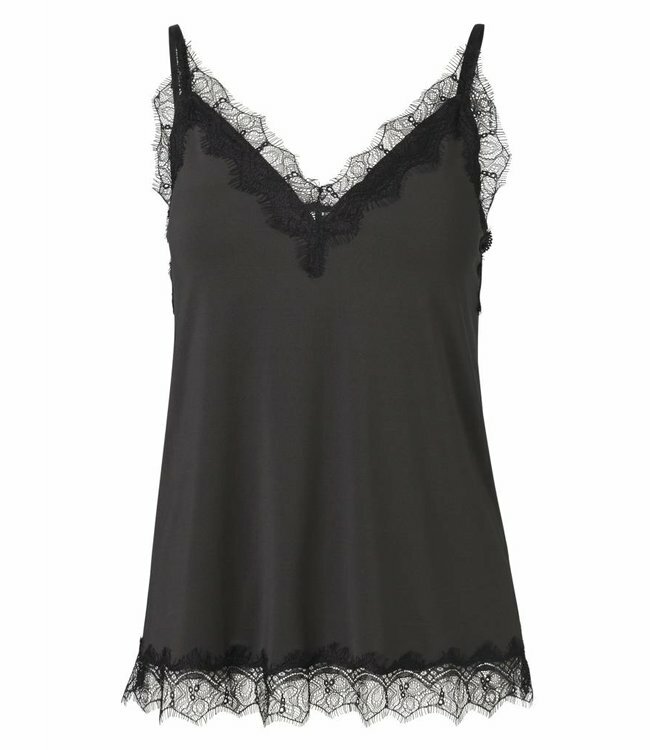 The top is made from a shiny, beautifully draped fabric and features a V-neck as well as a beautiful lace trim at the neckline and hem. An exquisite basic layer that can be worn with many different outfits.